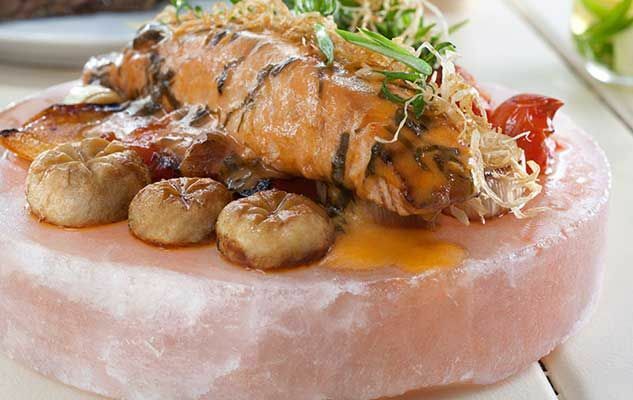 If you’re looking for a new, clever way to cook and serve your favorite dishes, a pink Himalayan salt block/stone could be the perfect solution for you. The block is a thick slab of salt which can be used for cooking, grilling, and even as a presentation plate. You can find it in delicatessens, specialized grocery shops, or online. 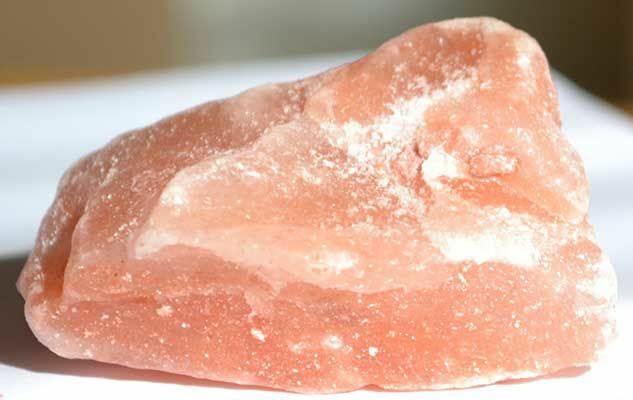 A salt block gives excellent results when used to cook foods that require quick cooking. Simply place your block on the BBQ or in the oven to slowly heat it up to a high temperature. When it is sufficiently hot, you can place the food on it and continue cooking on the BBQ or in the oven. There is no need to add salt to the foods, as the block will season them as if by magic. Fish and shellfish regain the taste of the sea, vegetables become more flavorsome, and meats taste even better. After usage, let the block cool. Afterwards you need to scrub it with a rough scourer to remove the cooked-on layer. Finally, rinse it and leave it to air dry. It will be ready for next time! But don’t put it in the dishwasher, as it would disappear. The block can also be frozen (30 minutes) and used to present sushi, cheese, cold meats, desserts and other dishes. When your block is too thin to use as is, break it and place the salt in a salt grinder. NB: If a salt block is not available, wrap the fish in aluminum foil, then cook it about 15 min in an outdoor grill or in the oven.